AWESOME 1 1/2 Story w/ Finished Lower Level & BEAUTIFUL Back Wooded Views on Private Lot w/ Minimal Backyard & Low Maintenance Lawns! 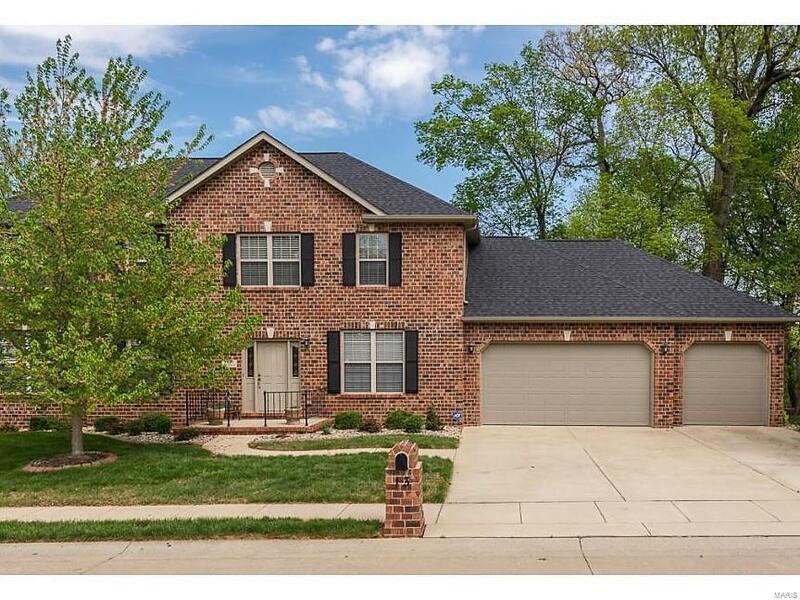 Move-In Ready, 5 to 6 Bedroom, 4 Bath, in Laurel Heights & O'Fallon Schools! Entry in to Living Room w/ Gorgeous dark wood floors & Gas fireplace. Arched entry in to Formal Dining & Kitchen. Kitchen and Breakfast Area includes Staggered Cabinetry, Granite Countertops, Stainless Appliances & Sliding Glass doors to Expansive Back Deck w/ Wonderful Wooded Views! 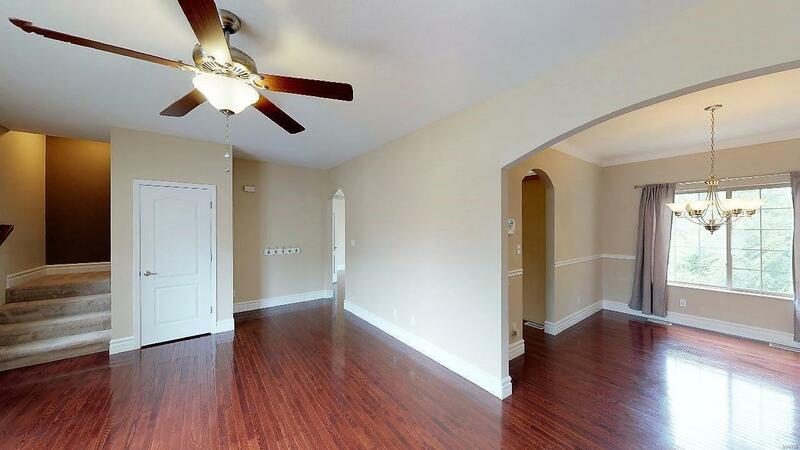 Master Bedroom Suite on main floor w/ Master Bath including dual vanities, separate shower & jacuzzi tub. Master closet w/ custom shelving. Laundry Room & Half Bath on main. 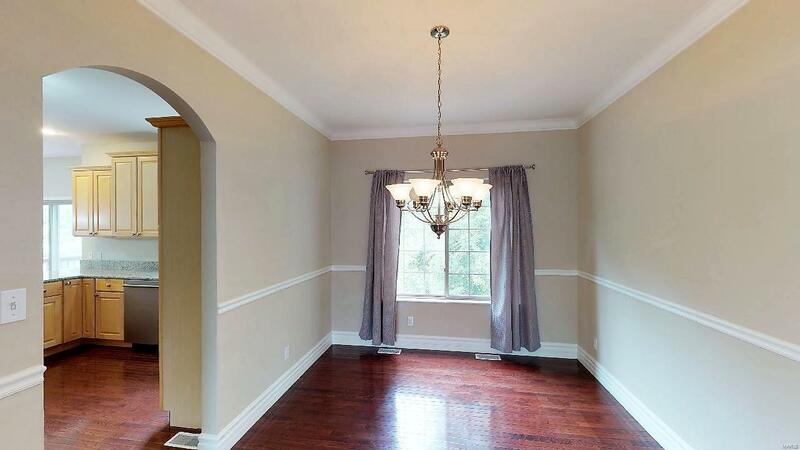 Upper Level includes 3 additional Bedrooms, Study w/ Glass Double Doors & Wonderful Family Room area. Lower Level includes Open Family / Rec Room w/ Slate Tile Floors leading to paver patio, 5th Bedroom, 3/4 Bath & Unfinished Storage Area. New Roof (2013) & New A/C (2014). Zoned HVAC, Security System & Oversized 3 Car Garage!